Physical therapy is often recommended to adults or children to minimize any pain and to regain mobility due to an injury, illness, or disability. 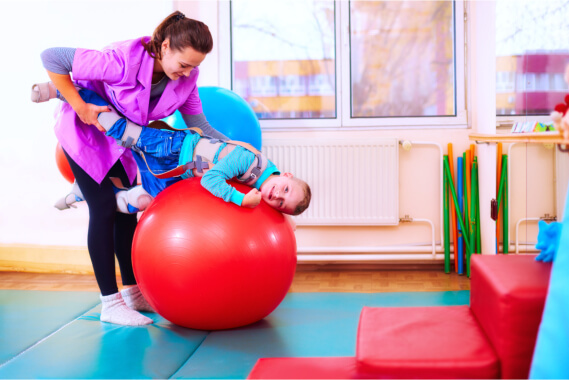 For children with developmental needs, physical therapy can help them improve their strength so they can find the confidence to do things on their own. Whatever their goals may be, our Home Care Services in Bowie, Maryland will assist you with their needs so they can have the independence to do basic daily activities. By exposing children to balance and coordination exercises, they get to use their bodies and get to know their strengths when they stand on one foot or jump with both feet. These activities can help develop their motor and non-locomotor movements because even as simple as dancing and swaying to the sound of a melodic tune, they get to actively use their energy while enjoying different activities that will enhance muscle memory. Beyond their disabilities, physical therapy can methodically motivate children to learn how to be independent. When they gain the confidence and understanding that their bodies are only limited to what their minds tell them, encouragement can help them discover that their bodies are machines that can do anything they put their minds into. By incorporating sensory exercises, their different senses also get exposed to different stimuli that will help give a holistic development. Our partner health professionals will assess and monitor any progress that has taken place so that the child and their family can see how far they have come from the first time they underwent therapy. Through the assessment, families can also draw information on what they can do to supplement the progress at home and in school. Physical therapy may include massages and other electrical stimulation exercises to help minimize any physical pain. With the help and support of our Home Health Care, we can make each physical therapy treatment a success story for every child. Looking for a physical therapy program for your child? Get in touch with Novena Health Care. We are currently serving Maryland and Virginia. This entry was posted in Physical Therapy and tagged Developmental Exercises, Home Care Services, Home Health Care. Bookmark the permalink.